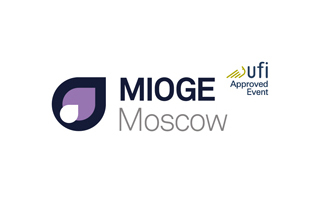 The 16th Moscow International Oil and Gas Exhibition MIOGE 2019 will take place from 23-26 April 2019 in Moscow’s new, modern exhibition venue – Crocus Expo. MIOGE is Russia’s largest international exhibition of oil and gas equipment and technologies. The exhibition has been taking place since 1993. Exhibiting at MIOGE is an effective tool for increasing and expanding sales geographies for oil and gas equipment and technology. At the exhibition, exhibitors get the opportunity, to present their products and hold face-to-face meetings with a large number of professionals sourcing oil and gas equipment for their businesses.